The Asia based destination club Banyan Tree Private Collection (BTPC) is helping to raise new home funds for Habitat for Humanity. As part of a joint program, BTPC is asking membership purchasers to donate US$10,000 from each individual membership sold, which BTPC will match dollar-for-dollar. Under the fund-raising initiative, an exclusive rate of US$140,000 will be offered, with a stipulation that US$10,000 of this fee is directly donated to Habitat for Humanity, which BTPC will match with an additional US$10,000. BTPC aims to raise enough funds to build 100 homes over the next year through this initiative, as well as a series of fundraising events to be held throughout the year. Proceeds from the donations will go towards two Habitat building projects  one in Guangdong, China and the other in the Philippines. In Guangdong, the program centres on the Qujiang district where Habitat aims to build at least 150 housing units in three years for low-income families living in substandard, unsanitary housing. In the Philippines, donations will also go towards helping Habitats Philippines Pasig River Project, which aims to address the potentials of disasters occurring among slum colonies living along the riverbanks through resettlement and provision of adequate shelter. "Banyan Tree has long been committed to being an agent of social and economic development through responsible tourism. Habitats message  hope starts at home deeply resonates with BTPC and our commitment to corporate social responsibility and offer of a home away from home to our members and guests," said Marina Kleiman, BTPCs managing director. 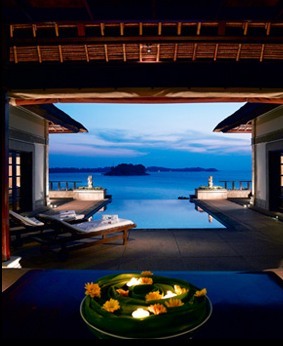 Currently, Banyan Tree Private Collection owns premium villas within Banyan Tree resorts throughout Asia, as well as three stand-alone private villas and luxury apartments in Europe and one in Kyoto, Japan. Earlier this year Banyan Tree Private Collection formed a reciprocity partnership with the Hideaways Club. Members of the two clubs can now use the other clubs homes, giving Banyan Tree members access to many more homes in Europe. Several of the other destination clubs have promoted philanthropic endeavours. Many clubs have donated some time at their homes to charitables auctions. On a larger scale Ultimate Escapes has raised almost $400,000 through its Ultimate Giving program and the Quintess Greenhouse Scholars program helps high-performing and under-resourced kids succeed in college.